The National Development and Reform Commission (NDRC), one of the country's antitrust watchdogs, is considering new detailed guidelines for defining monopolistic behavior in the auto sector, a media report said Thursday. "A draft [of the guidelines] has been filed with the State Council, but there is still no timetable for the guidelines' release," Shanghai-based National Business Daily reported, citing a source who participated in the drafting of the guidelines. The guidelines will give directions for both sales and after-sales services, according to the source. And how to define price-fixing will also be one of the core aspects of the guidelines, the report said, citing an expert. The NDRC did not reply to a request for an interview from the Global Times on Thursday. Two officials from the China Association of Automobile Manufacturers, a major industry group, also declined to comment. The NDRC has stepped up efforts to crack down on monopolistic practices in the past few years and the auto industry has been one of its main targets. Since August 2014, a number of automakers and their dealers, such as Chrysler and Audi, as well as 12 Japanese auto parts makers, have been fined by the NDRC for fixing prices. In April, the NDRC slapped a record fine of 350 million yuan ($56.45 million) on German automaker Mercedes-Benz. Some Mercedes-Benz dealers in East China's Jiangsu Province were also fined for price-fixing. "The guidelines will draw on the experience from previous antitrust cases," Wei Shilin, a senior partner at Dacheng Law Offices in Beijing, told the Global Times Thursday, noting that antitrust law enforcement is set to become more transparent in the future. China's antitrust law, which came into effect in August 2008, is currently the main reference for defining monopolistic behavior and guiding antitrust investigations. But experts said that the law is not detailed enough to give clear guidance for automakers and law enforcement bodies. 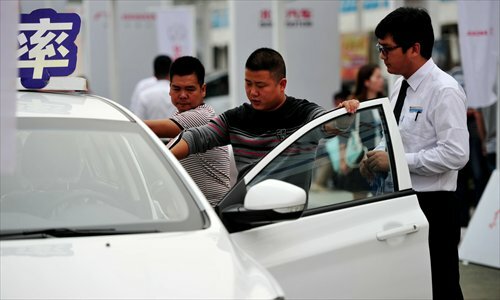 "In some cases it is hard to tell whether certain forms of behavior can be considered monopolistic, as the antitrust law only gives very general instructions," Jia Xinguang, a senior expert at the China Automobile Dealers Association, told the Global Times Thursday, noting that automakers and dealers need more detailed guidance. Jia noted that developed economies like Japan and Europe all have such ­detailed regulations and the NDRC's new guidelines may draw on experience in these other areas, Europe in particular. Experts have noted that antitrust probes are likely to take place more frequently in the future, especially in the auto sector, and homegrown automakers will also be subject to the antitrust probes. Recent media reports said that Dongfeng Nissan, a joint venture between China's Dongfeng Motor Corp and Japan's Nissan Motor, is currently under an antitrust investigation and punishments are expected to be announced soon. Besides price-fixing, some other common practices in the auto sector are considered monopolistic. For instance, dealers can only sell spare parts from companies authorized by the automakers and they are not allowed to sell cars in different regions. The NDRC guidelines are also expected to give directions on issues such as these, analysts said. Recent media reports have also said that the Ministry of Commerce is mulling revised regulations for car dealers - the current regulations have been in place since 2005. The revision, once announced, will help reduce the possibility of monopolistic behavior, as it is expected to give dealers more bargaining power with automakers. Some models produced by foreign auto brands have been sold in China at prices far higher than in overseas markets, and factors such as high import tariffs and strong demand in China are not the only reasons for this. Price-fixing is also a reason for the high prices, according to analysts. Following the NDRC's antitrust probes, major automakers like Audi, Mercedes-Benz and Jaguar Land Rover have announced lower car and parts prices. "The antitrust efforts will encourage competition in the sector, which is expected to help reduce prices and improve automakers' services," Wei said, noting that consumers will benefit from the antitrust moves.